On Wednesday, ASSU held its spring social. This time around, the President of UofT, David Naylor, also attended. Preethy and I were standing there discussing something when Naylor came up to us and started asking us about our majors. At one point his cell phone started ringing and he excused himself for a moment. He then came back to us and spoke to us about how his car was in for repairs, and he complained about his $700 rims. That’s got to be one of the most insensitive and stupid things a university president can say to two students, after he’s quite vocally called for tuition fee increases. It’s like he’s rubbing it in. Someone get the guy a clue. And I thought it was going to be a beautiful day. 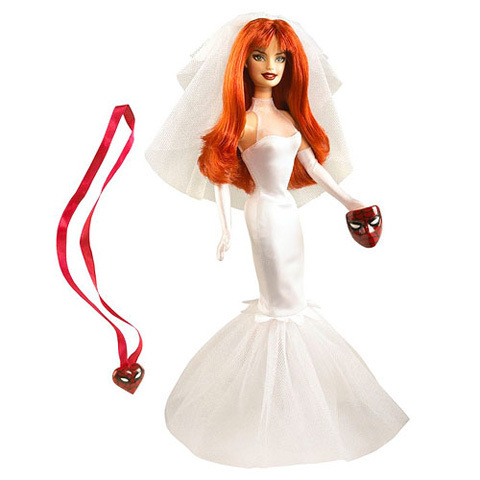 It’s a Barbie as Mary Jane Watson doll, and as all of us should know, Mary Jane is Peter Parker’s wife. 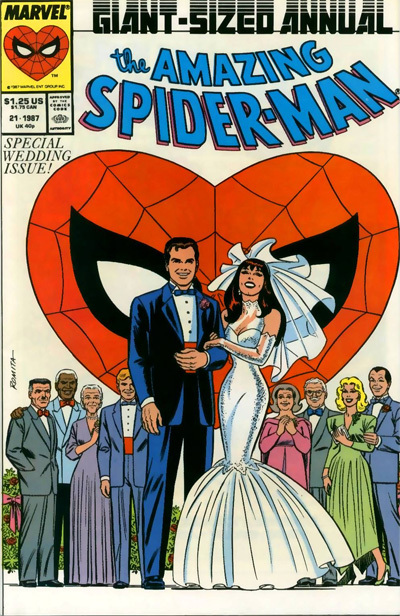 In fact, this doll is wearing the wedding dress that was featured in the comic where the two got married (Amazing Spider-Man Annual #21, 1987).